From bookings to volunteering, you should find the answers below! On this page you’ll find the answer to many common questions but if you can’t find the answer here, please don’t hesitate to contact the office! Why is MTA a charity? 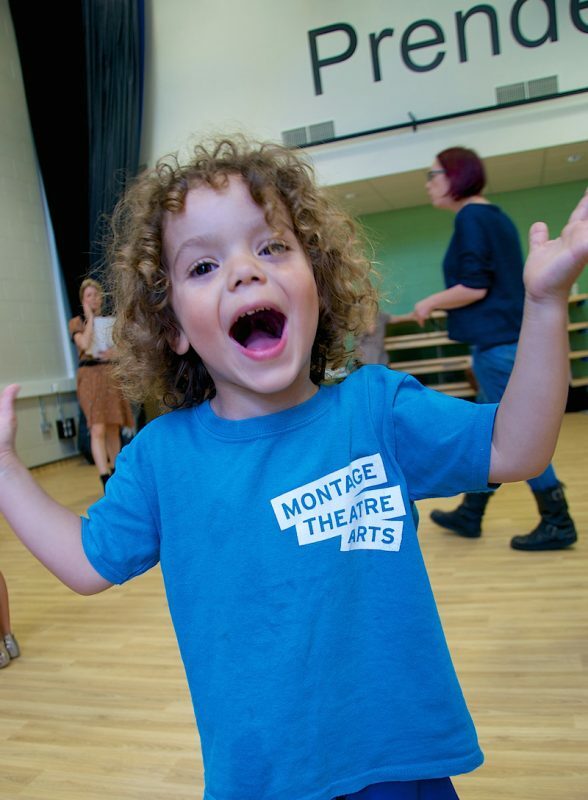 To some people MTA might appear to be a stage school, but there is plenty more to us than that! Firstly, we are a non-profit organisation. Every penny Montage makes goes back into our programme and projects. By offering concessionary rates and free places, we run programmes at a deficit. This makes all the fundraising we do super important! We also run special projects and outreach within the community to ‘engage and introduce’ the performing arts. Most of these are run at a cost to MTA, but no cost to the participants. Our team are dedicated to making the arts accessible, to do this our charitable status is crucial. If you want to help, there are so many ways to do so! As a charity, we often run fundraising drives at various times throughout the year- but help is not always financial! From volunteering to baking cakes for cake sales; saying nice things about us on social media to offering us an office chair you are throwing out- we’re here for all the help you can give us! For more information, feel free to contact the office. I'd like to work, volunteer or do my work experience with MTA. What sort of performance opportunities are available? All of our students take part in at least one performance per term! This is usually an in-class performance, but it also includes participation at large-scale external events such as Lewisham People’s Day, and internal events such as whole school shows and showcases. As a charity, we have to be really careful and know roughly how much money we can count on for each term. More importantly, we want you to be happy that the courses suit you! The first two classes of any course are considered ‘trial’ classes. If for any reason the course is not suitable, just let us know before the third week and we’ll refund you for the remaining classes you haven’t done. (Please refer to the Booking Policy regarding refunds). In very special circumstances, we can provide a trial class. Please contact the office if you have any questions. We have to collect your term’s fees in advance in order to be able to keep Montage running. We have to be able to plan how to pay the tutors and staff, hire the premises and rent the office. Also we have found that paying in advance can make a difference to how committed families feel to the classes – and regular attendance is very important to bring out the best in your child. Is there an instalment plan for paying fees? We don’t have an pre-arranged instalment plan as such. However, do contact the office in advance if you want to discuss the possibility of phasing your payments. We are not at this time, accepting childcare vouchers for termly classes. Can I join half way through a term? Normally our students join us in September, January and April. However, as long as a class has space in it, our teachers are often able to accommodate additional students throughout the term. Please contact us to discuss joining throughout a term! How long is a term at Montage? All of our terms are 11 weeks! The fee you’ll see advertised on our website is per term (11 weeks). What happens if I want to book a place on a full class? Please note that we have certain classes which are very popular and operate a waiting list procedure for full classes. For further information about the children’s classes and to put your child’s name on a waiting list, please call 0208 692 7007. Can I accompany my child in class? Unfortunately not. Our staff are really experienced, and one of the things we can all agree on is how distracting it can be for a child to have a parent or carer in the room. If you stay in the room, your child is much more likely to get teary and run to you if they feel shy. If however, you allow our staff to directly engage with a student, more often than not, within five minutes they are laughing and joining in! We understand it can be nerve-wracking leaving your little one (especially for the first time) therefore our Youth Programme Manager may allow you into your child’s first few classes for 5 – 10 minutes at the beginning- but please don’t be offended if we ask you to leave! To set your mind at rest, we normally have a waiting room available to us so you can wait down the corridor, and we do performances at the end of every term so you can see your child in action. My child can’t attend the rest of the term, can I get a refund? To ensure the smooth running of Montage, refunds are only offered during the first three weeks of classes. Let us know before the third week and we’ll refund you for the remaining classes you haven’t done. (Please refer to the Booking Policy regarding refunds and admin charges). In special circumstances, we may be able to refund you after a longer period of time. Contact the office to find out more. We do! We think it gives all our students a sense of belonging, and makes sure they are safe as all our classes involve movement. My child has additional needs, can they join? Montage Theatre Arts is committed to equal opportunities. We welcome students to our classes with a wide range of special educational needs and disabilities. Our Youth Programme Manager is more than happy to answer any individual questions. We would love to get to know your child before they join us in order to prepare an individual approach to their participation. My child has additional needs, will they receive 1:1? We are, however, unable to guarantee 1:1 support. We really wish we could- but as our facilitators depend on the kindness of volunteers to assist them in classes we may not always have a SEND trained volunteer able to support your child. What should I do if my child can't attend our usual class? If your child is unwell, or cannot attend classes please email the office (office@montagetheatre.com).